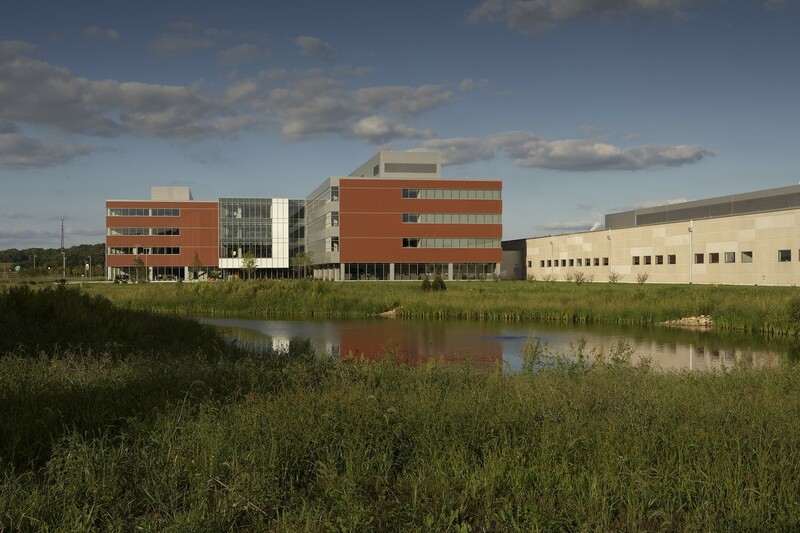 Kerry Innovation & Technology Center consists of four interconnected building on a 124-acre reclaimed prairie site. Housing an entry building, office building, laboratory building, and pilot plant, the 264,000-SF, four-story facility serves as the North American headquarters for Kerry Americas. 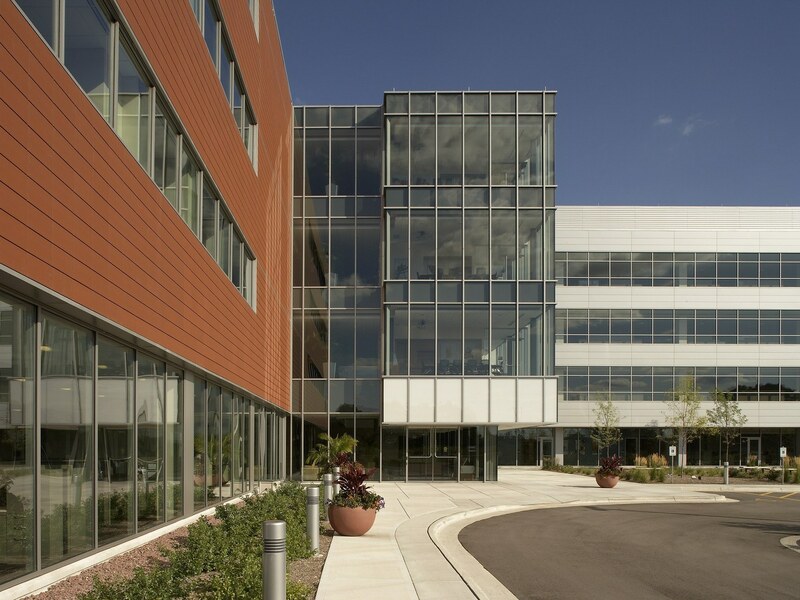 The exterior features horizontal bands of red terra-cotta, clear-glass and white-glass panels along the three main office-laboratory buildings while pre-cast panels wrap the single-story pilot plant. 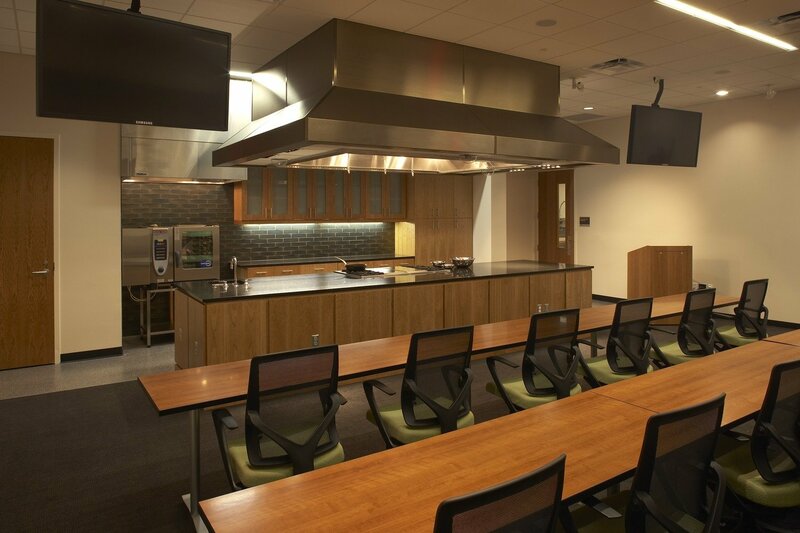 Interior planning emphasizes open workstations and visual connection. 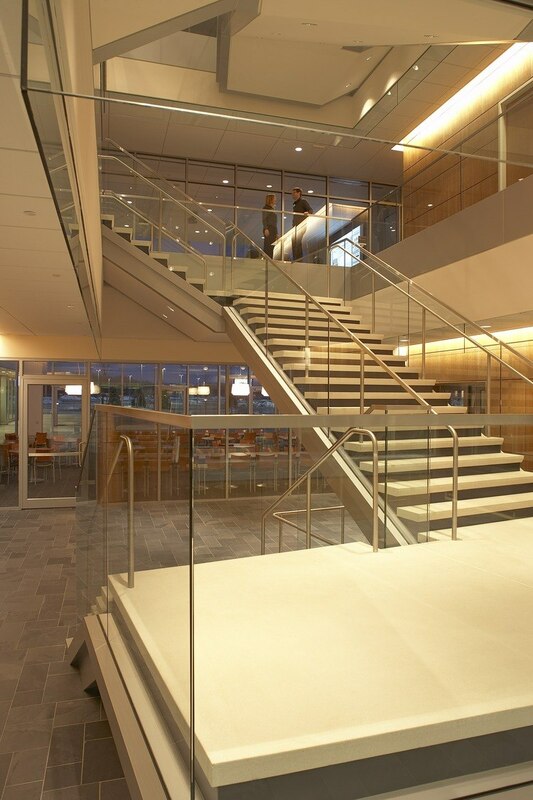 In the entry building, an open staircase, spacious windows, cherry paneling, glass-and-metal finishes and uncluttered furnishings create a bright arrival point. 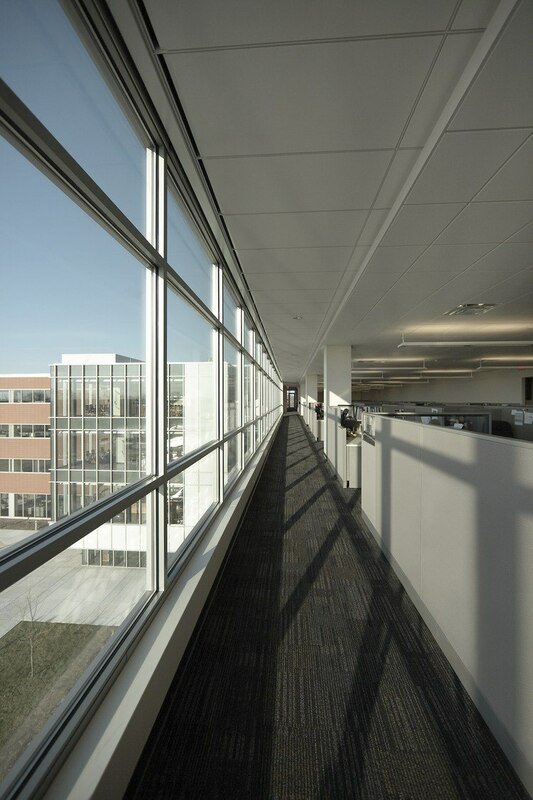 Workstations in the office building are grouped toward the center of each floor with circulation corridors along the perimeter. Meanwhile, the pilot plant maximizes flexible manufacturing configurations while the laboratory building promotes research efficiency. Interior lighting works with natural lighting to enhance functions. To achieve Lean results, HGA conducted in-depth studies of Kerry’s operational model and business structure. By challenging current protocols and encouraging creativity, the team reduced square footage, promoted communication and collaboration, and provided optimal floor layout to maximize production and minimize risks. 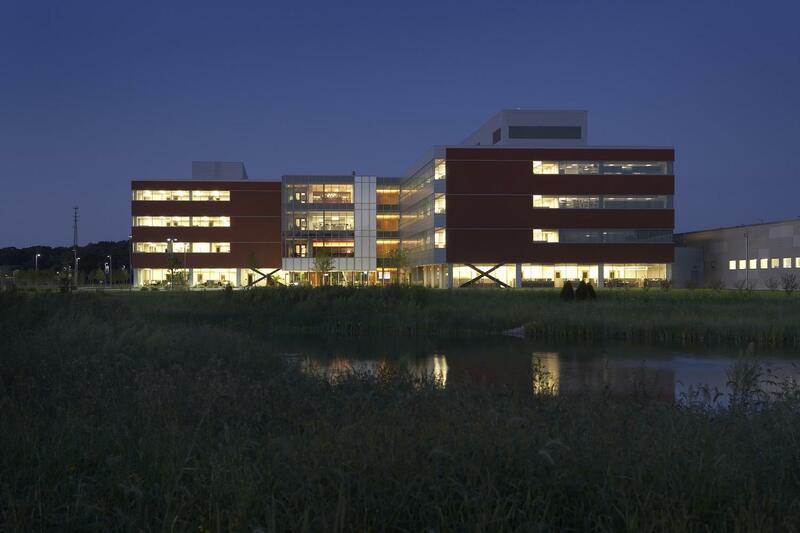 The 124-acre site is designed as a reclaimed Mesic prairie–only the building and parking lots are elevated above the prairie and 100-year flood elevation. On this elevated platform, the landscape features a grassy carpet and formal groves of Honey Locust trees that follow a formal grid while the remainder of the site follows a natural geometry of meandering trails and organically shaped ponds. 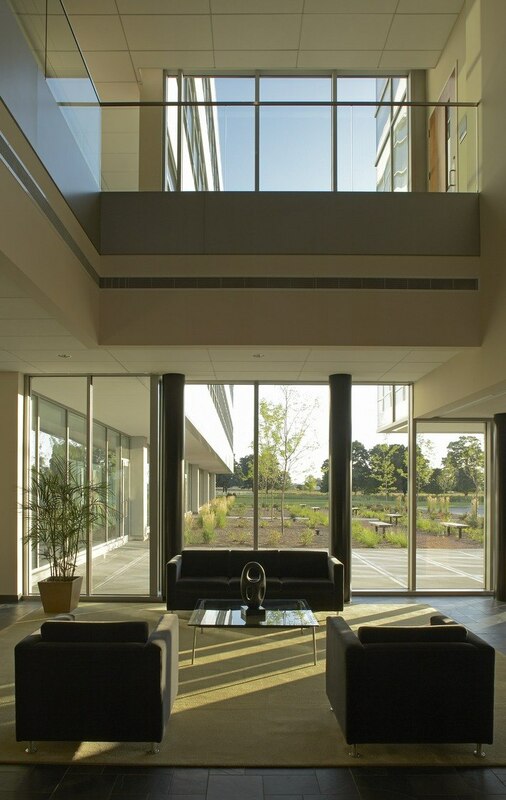 The LEED-certified complex meets Energy Star rating and has received one of the highest Wisconsin Focus on Energy incentives for a single project. This high-performance building resulted in overall energy use of 27 percent better than code and 15 percent better than ASHRAE 90.1, 2004. Key mechanical engineering components include a central campus steam and chilled-water power plant with heat-recovery systems that provides efficient heating and cooling. A centralized air-handling ventilation system provides higher fan energy efficiency over less centralized smaller systems. A computerized building-management system monitors energy efficiency. Electrical infrastructure supports programming while meeting sustainable benchmarks for LEED® certification. HGA provided prerequisite commissioning as required by LEED® for more than 600 pieces of equipment and performed more than 100 functional performance tests on integrated mechanical systems. 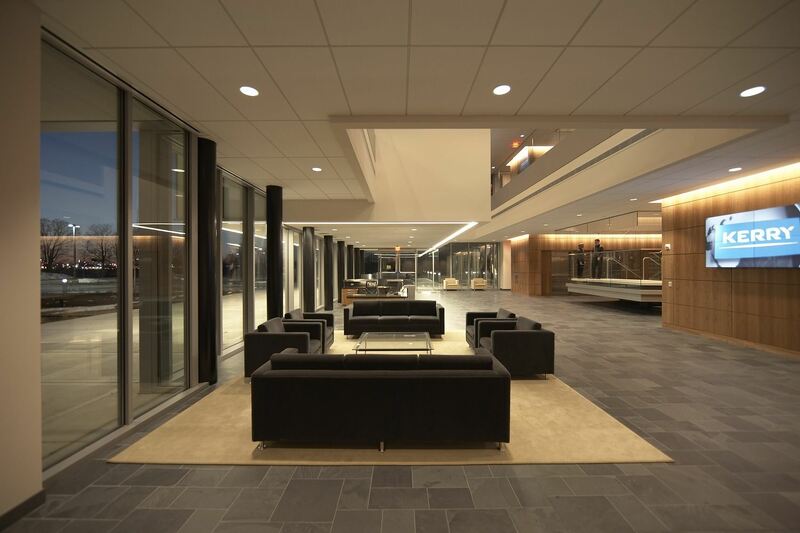 The commissioning process identified and corrected 95 percent of all issues prior to occupancy, netting Kerry a 900 percent return on investment.